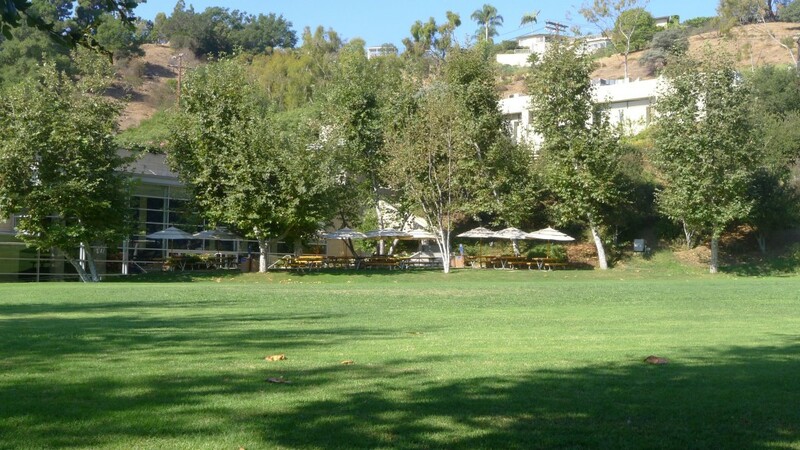 The first thing any visitor notices upon arriving at St. Matthew’s Parish School in Pacific Palisades is the stunning campus where nature takes center stage on 30 acres in a beautiful park-like setting. 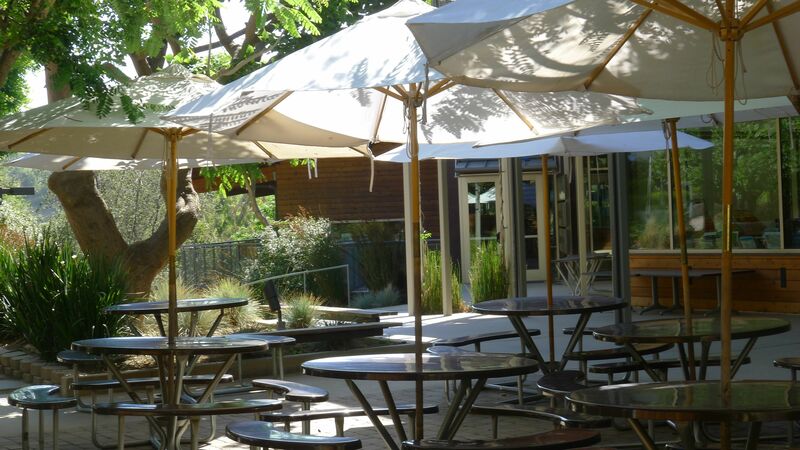 West Coast warmth infused with the gravitas of an East Coast prep school makes for just the right combination at this well-respected institution. Virtually everything about St. Matthew’s is reserved and understated. In our city of over-the-top lifestyles it is refreshing to see this quality in a school. St. Matthew’s was founded in 1949, but it has been significantly updated. 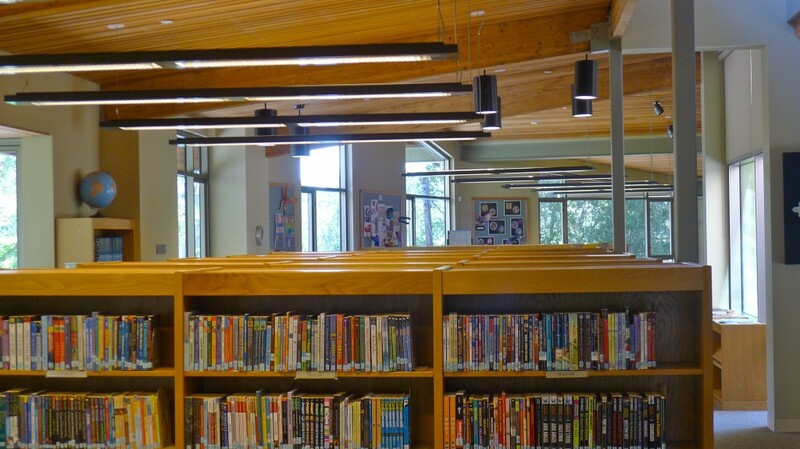 From the classrooms to the technology for learning (Smart Boards, iPads and more), St. Matthew’s has done an amazing job remodeling and rebuilding all of its 28 classrooms, the enormous library and virtually the entire campus, in part with a recently completed capital campaign. 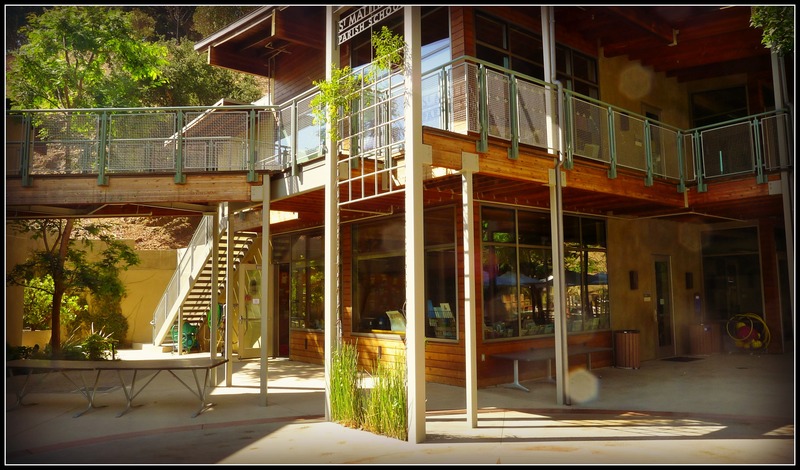 The look and feel of the campus is rustic and modern. Head of School, Stuart Work (also known as Stu), and Jane Young, the principal, were generous with their time as I sat with them in Stu’s office talking about what make the school unique. Stu is thoughtful and articulate, with a firm handshake and a direct gaze. He is a former science teacher and accomplished administrator who adores kids and is obviously extremely proud of his school. He took the helm at St. Matthew’s in 2011. Walking around the campus, he seemed to know every student. Jane, a member of the St. Matthew’s community for more than 30 years, as an alumni parent and teacher, is warm, outgoing and approachable. 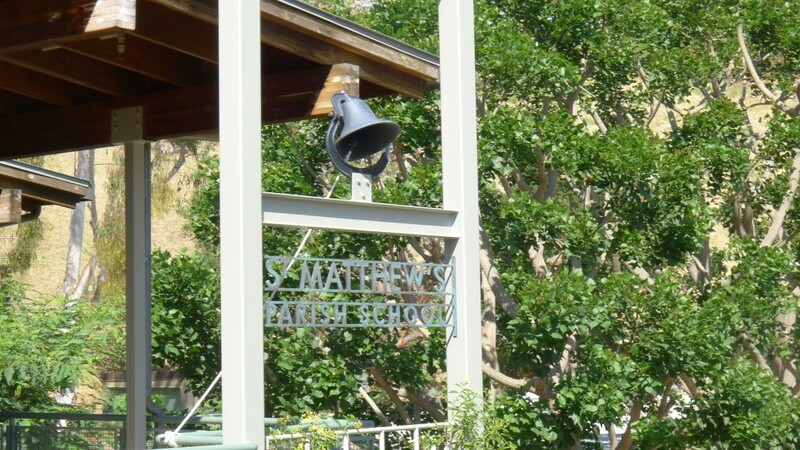 St. Matthew’s is a traditional school, both in its academic philosophy and its religious values. As part of the St. Matthew’s Parish, the school has embraced both spiritual growth—kids attend chapel and religious class each week—and rigorous academics, creating an enviable educational institution. As Jane describes it, the school combines academics and a deep moral and spiritual foundation, rooted in its three faith-based elements: SERVE, LEAD, FLOURISH. Sixty percent of families belong to St. Matthew’s Parish, and there are a number of different religions at the school. All are welcome. 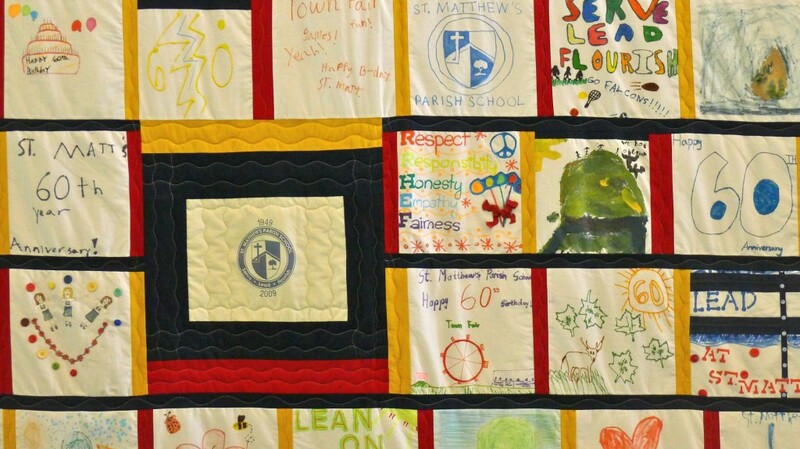 The school is known in the community for being open to all faiths and very respectful. St. Matthew’s is small (325 students total). There is one class per grade, with about 24 students and 2 teachers. The kindergarten classroom is very spacious and bright. 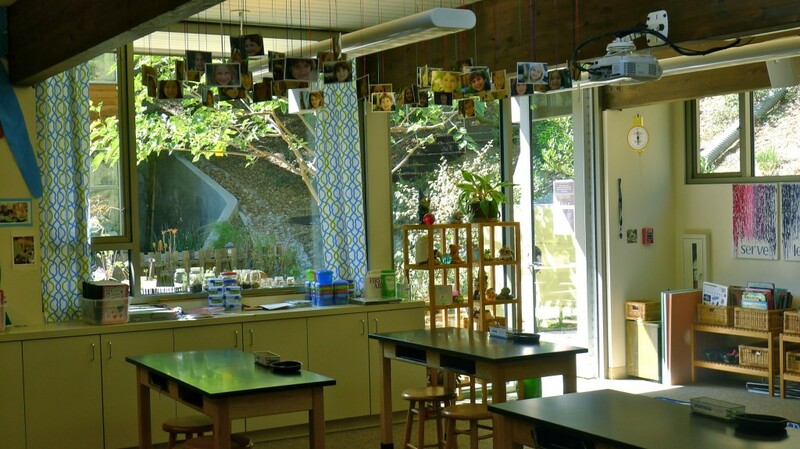 Natural light streams in from big windows giving the young students a glimpse of the outdoors as they learn. There is also a separate break-out room where they work on projects. St. Matthew’s embodies a strong tradition of community service for all students, which is integrated into the curriculum. Students participate in a variety of volunteer and service learning activities from partnerships with St. Anne School to raising money for an Episcopal school in Haiti to working in the St. Matthew’s thrift store in Venice. Stu and Jane enthusiastically described one of the school’s signature programs: grant funding for teachers to visit places that correlate with the study units they teach. Costa Rica, Haiti and Africa are a few of the locations where 1st and 3rd grade teachers have traveled. Returning to St. Matthew’s, teachers bring back a deeper, first hand understanding of what they are teaching. Walking through the various classrooms from K-middle school, touches of tradition are noticeable from the moment one enters the school. Classes are orderly, fairly structured and calm. Students wear uniforms and address their teachers by their last names, all hallmarks of a traditional school. Yet despite the fact that several classes were taking quizzes, students were friendly and welcoming to the head of school and his visitors. Leaving the kindergarten classroom, Jane pointed to an example of the school’s belief that mistakes happen and that’s fine. She pointed to the steps, where the artist who created them had inadvertently laid the wrong letters side by side. She explained that the artist offered immediately to fix the error. Instead, she told me they decided to leave it. Serious and focused, the school isn’t afraid to let its sense of humor show! St. Matthews is recognized for its sports programs. Many athletes go on to play high school and college sports. Admission to St. Matthew’s is competitive. 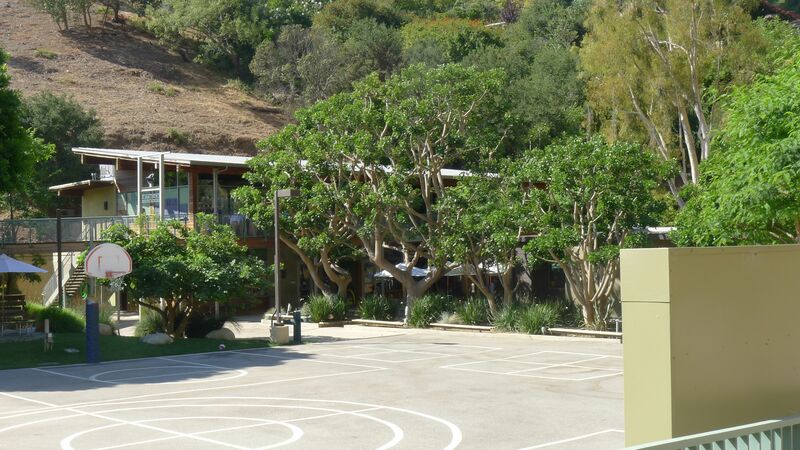 The school is especially popular among Palisades and Brentwood families. However, both Stu and Jane pointed out that they encourage families to remain on their active wait-list if they are not admitted right away. The St. Matthew’s wait-list is one that does have spaces open up and admits families. The primary points of entry are Preschool 1 and 4th grade, with spots open at 5th and 6th grade. 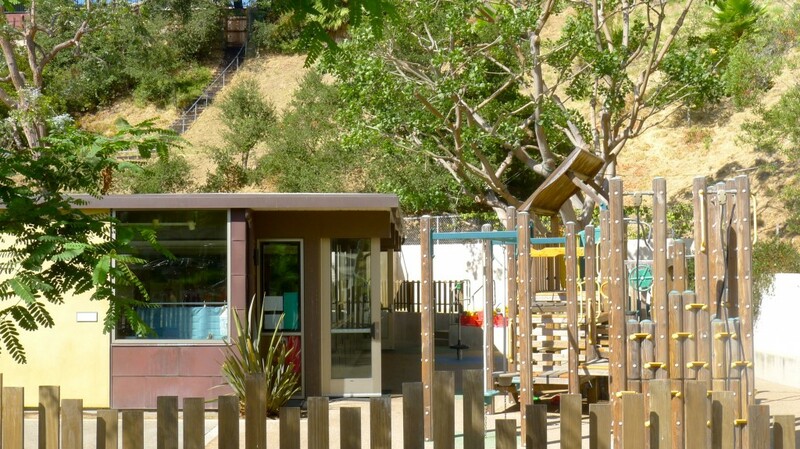 Kindergarten admission is based on attrition from the preschool. “Keep applying” Stu and Jane told me is their message to families who are wait-listed. For those who are not part of the St. Matthew’s parish, being active in your own religious institution can be an asset for admissions. St. Matthew’s is certainly a school for a traditional family looking for that perfect mix of rigorous academics, faith and community. 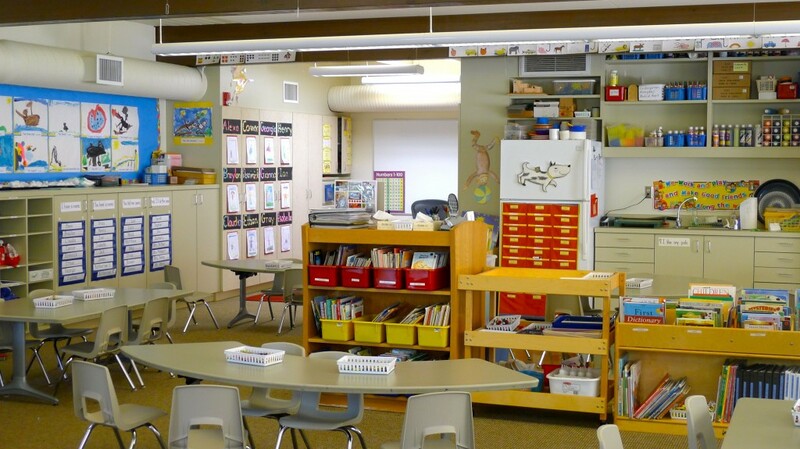 I love this photos of the classroom. How wonderful that they have a grant program for teachers. Thanks, Christina. I love the strong commitment to community service. Thanks, Christina. We will start looking next year. I’m so pleased to see this post about St. Matthew’s. It will be added to our list of schools to look at. Thank you. What a gorgeous campus! I love the rustic setting and bright classrooms. A wonderful piece about a gem of a school. Well done! What an absolutely beautiful school! I think it’s great that you’re doing this series of tours. 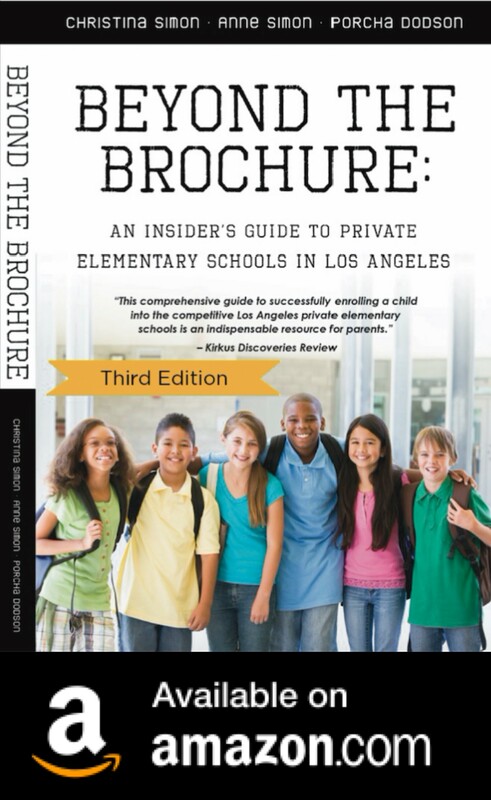 It is so helpful for families who are in the process of looking to get this insider’s view. 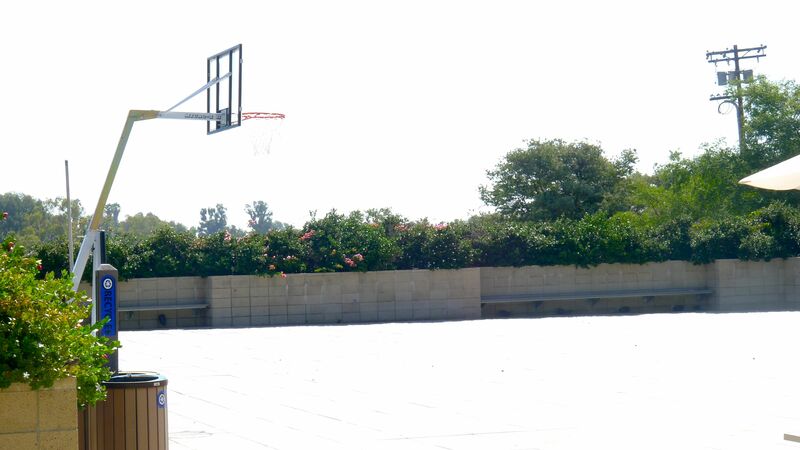 I have a friend whose children attend St. Matthew’s (a Palisades family) and they love it there…I can really see why. What a beautiful, tranquil campus. I can see why it’s so popular among families that live in the area. It sounds like a school with a nice balance. I especially like the student to teacher ratio, 12:1. That’s great! Having sent my boys to public school, I’m always interested in hearing about other school experiences. This campus & their philosophy looks amazing. I’ve spent lots of time on this campus and you’ve captured it well. Love all the photos too. You’ve painted a very accurate picture of a wonderful little school. Great piece. I love those fence posts! I think a commitment to community service is so important and I really adore that they value involvement in any religion.